Christian Dennie is an attorney, arbitrator, and mediator with a focus on commercial matters. He has tried more than 50 cases, bringing them before judges, juries, administrative panels, and arbitrators, and has argued before courts of appeals and administrative bodies. He has also served as an arbitrator in more than 180 cases and a mediator in dozens of cases. He has represented clients on both sides of the docket including individuals, sports organizations and associations, institutions of higher learning, amateur and professional athletes, coaches, conference offices, sports agents, sports agencies, employers, employees, Fortune 500 companies, start-ups, publicly traded companies, privately held companies, nonprofits, religious organizations, municipalities, property owners, construction companies, developers, banks, real estate brokers and agents, and landlords and tenants. 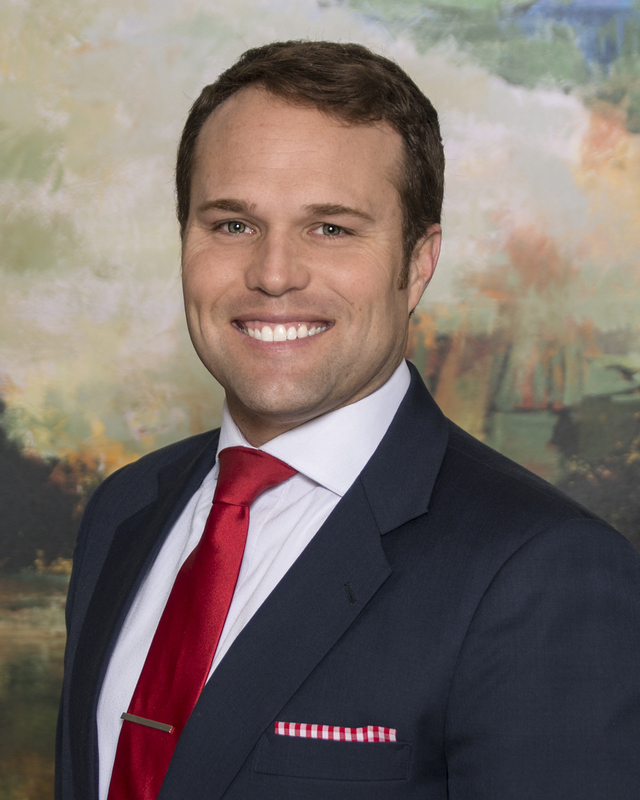 Christian has successfully represented clients in claims for breach of contract, employment and labor disputes, violations of the Texas Property Code, violations of the Texas Deceptive Trade Practices Act, violations of the Copyright Act, violations of the Lanham Act, violations of Title IX, misappropriation, fraud, fraud in a real estate transaction, trespass to try title actions, declaratory judgment proceedings relating to boundary disputes, negligence, products liability, NCAA infractions, and numerous other claims. Christian brings an aggressive, yet conscientious, approach to litigation that has produced successful results for his clients at the trial and appellate levels. Christian is an arbitrator and mediator for disputes in business and tort litigation, commercial, construction, consumer, corporate, employment and labor, estate planning and probate, healthcare, intellectual property, products liability, real estate, and sports and entertainment. Christian has been recognized and named as a Fellow by the Chartered Institute of Arbitrators and a Member of the National Academy of Distinguished Neutrals. He is a panelist serving as a neutral for disputes presented to the American Arbitration Association (AAA), International Centre for Dispute Resolution, JAMS, Financial Industry Regulatory Authority (FINRA), National Arbitration Forum (Forum), United States Council for International Business (USCIB), London Court of International Arbitration (LCIA), Construction Dispute Resolution Services (CDRS), American Health Lawyers DRS, DeMars & Associates, Ltd., National Futures Association, Texas Tax Appraisal Arbitration, Alternative Dispute Resolution Services International, and Resolute Systems. 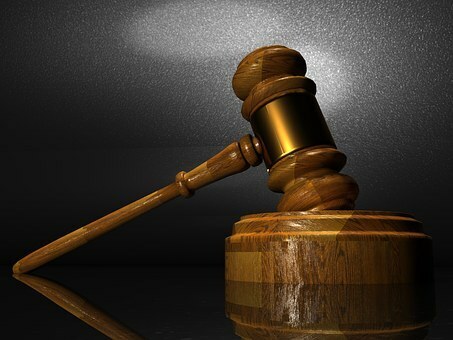 Christian additionally provides services as an early mock arbitrator, neutral evaluator, private judge, referee, umpire, dispute review board, and special master. Prior to joining BGS, Christian worked in the athletics departments at the University of Oklahoma and the University of Missouri. Since his return to private practice, Christian has continued to work with and advise clients in the sports industry, including professional athletes, student-athletes, coaches, conference offices, institutions, recruiting services, sports equipment providers and retailers, sports unions and trade associations, and professional sports franchises and related entities, in litigation, NCAA investigations and compliance matters, drug test appeals, Title IX investigations, and negotiating and drafting agreements such as sponsorship, marketing, facilities agreements, coaches contracts, drug test policies, conference and association constitutions and bylaws, sexual harassment and misconduct policies, and collective bargaining agreements. Christian also commonly works with coaches and current and retired athletes in career planning and structuring, branding, estate planning and asset protection, non-profit formation, and corporate formation. Christian has represented clients in sports including baseball, basketball, boxing, cross country, crossfit, equestrian, fencing, fishing, football, futsal, golf, gymnastics, hockey, lacrosse, mixed martial arts, quidditch, rowing, soccer, softball, swimming and diving, tennis, taekwondo, track and field, volleyball, water polo, and wrestling. Christian has also conducted investigations for fraud, embezzlement, sexual misconduct and sexual harassment, violations of NCAA rules, alleged improper treatment and harassment of athletes, construction fatalities, and misconduct in secondary private schools and religious organizations. While in college, Christian played centerfield for SHSU while graduating in only 3 years. Represented student-athletes, coaches, and institutions throughout the country in a variety of NCAA investigations and compliance matters and prepared waivers of NCAA and conference rules relating to eligibility, amateurism, medical hardships, NLI appeals, drug test appeals, gambling, financial aid, recruiting, and other NCAA compliance matters. Represented college conferences and reviewed and drafted facility use agreements for football festivals held at an NFL stadium and agreements relating to men’s and women’s basketball championship events, drafted conference constitutions and bylaws, advised on conference realignment, and consulted on NCAA compliance matters. Represented a high school football recruiting service with a regional television show regarding issues with NCAA compliance, drafted waivers of liability, reviewed and drafted other contractual agreements including broadcast agreements, and filed and protected its intellectual property holdings through cease and desist communications. Conducted independent investigation on behalf of a Division I institution regarding the alleged improper treatment and harassment of student-athletes by members of the coaching staff. Drafted sponsorship agreements and ground leases for a new university golf course and facilities. Drafted recruiting manuals, compliance manuals, drug test policies and procedures, sexual misconduct and harassment policies, and athlete-agent programs and applications in compliance with NCAA, institutional, and state regulations. Served as general counsel for an association overseeing the interests of professional referees in collective bargaining negotiations, employee matters, and litigation. Served as general counsel for a trade association overseeing the interests of professionals involved in the sports industry during negotiations with a professional sports organization, negotiations with third-parties for marketing and sponsorship agreements, negotiated with insurance and retirement professionals for association-wide programs, and organized and filed for non-profit status. Served as general counsel for an association overseeing the interests of scoring and statistics administrators in collective bargaining negotiations, employee matters, and organized and filed for non-profit status. Represented a professional sports franchise and related entities in fan behavior litigation in which a fan was injured prior to an event and alleged that the professional sports franchise failed to provide proper security and policies and procedures for injuries that occur on premise. Drafted endorsement and player agreements for a traveling street basketball tour with a national television show and an international tour including agreements for street ball legends and former NBA stars. Represented and advised athlete agents before administrative and regulatory bodies relating to alleged improper recruiting practices. Represented and defended a professional athlete in civil litigation in which the athlete was accused of injuring an individual and obtained dismissal of the case within 30 days without the athlete providing any form of compensation to the plaintiff. Represented athletes in drug test appeals relating to the alleged ingestion of performance enhancing substances before various administrative and governing bodies and tribunals. Represented coaches in Title IX investigations. Represented coaches in their career progression and branding including the negotiation and drafting of employment agreements. Provided counsel for athletes and coaches for estate planning, entity formation, and asset protection including drafting of wills, trusts, limited partnerships, limited liability companies, non-profit organizations, and other entities. Drafted cease and desist letters for athletes seeking to protect their intellectual property holdings and rights of publicity. Defended and obtained a take nothing verdict at trial on behalf of a construction contractor in a breach of contract action and obtained a verdict in favor of client on counterclaims for fraud, conversion, and harassment. Affirmed on appeal by the Fort Worth Court of Appeals. Defended and represented an apparel manufacturer in a matter brought against the company by a professional athlete arguing that his right of publicity had been violated including such representation in ICANN proceedings. Overturned a default judgment on a restricted appeal and recovered damages at an arbitration proceeding in favor of an international product manufacturer. Defeated requests for a temporary restraining order and temporary injunction in a matter in which plaintiff attempted to show shareholder oppression and assertions that board members were involved in fraudulent activity. Represented comedians in copyright proceedings brought under the Copyright Act and the Digital Millennium Copyright Act relating to comedy material that was inappropriately used and sold by a third-party for profit. Represented and enforced non-compete and non-solicitation agreements on behalf of a client in the technology sector when several employees left the company for a competitor. After a two week trial obtained a favorable settlement whereby client received real property in Denton and Dallas counties valued at over $35 million, including a $16 million shopping center. Defended and obtained a take nothing summary judgment securing the dismissal of inverse condemnation claims under the Fourth, Fifth, and Fourteenth Amendments of the United States Constitution and state law private nuisance claims in federal court on behalf of a municipality pertaining to the construction of Dallas Cowboys Stadium and the traffic management plan for events. Defendant’s summary judgment was affirmed by the Fifth Circuit on appeal. After being retained three years following the initiation of the lawsuit obtained a take nothing summary judgment on behalf of real estate agents charged with negligence, fraud, fraud in a real estate transaction, and violations of the Texas Deceptive Trade Practices Act by asserting previously un-pled affirmative defenses and obtained dismissal in only three months. Defended and obtained a take nothing verdict at trial on behalf of a construction contractor in a breach of contract action and obtained a verdict in favor of client on counterclaims for fraud, conversion, and harassment. Defended and obtained a take nothing summary judgment securing the dismissal of inverse condemnation claims under the Fourth, Fifth, and Fourteenth Amendments of the United States Constitution and state law private nuisance claims in federal court on behalf of a municipality pertaining to the construction of Dallas Cowboys Stadium and the traffic management plan for events. Represented shopping center owner in multi-million dollar construction defects matter in arbitration proceeding that ultimately favorably settled for the shopping center owner. Defended and obtained a take nothing summary judgment on behalf of an engineer in a construction defects case. Defended subcontractor in a multi-party dispute relating to injuries on a construction site and ultimately settled matter for pennies on the dollar. Defended municipality in a multi-party dispute in which a group of contractors argued the municipality charged building fees in violation of the Texas Constitution and the United States Constitution. Represented homeowners in a dispute with a general contractor relating to faulty construction and installation of the foundation and ultimately successfully resolved the dispute. Defended and obtained a take nothing summary judgment on behalf of a general contractor who was sued for allegedly failing to properly install stucco on a high-end custom home. Represented and recovered damages for a shopping center owner in an arbitration proceeding whereby the owner claimed the contractor failed to properly install a TPO roof and failed to properly apply stucco. Defended and obtained a take nothing summary judgment on behalf of a subcontractor in a fatality whereby a sub-subcontractor failed to observe fall protections when exiting the roof. Enforced a delay provision in a construction contract and obtained liquidated damages when the contractor argued the liquidated damages provision was an unenforceable penalty. Represented a subcontractor in a dispute whereby the owner of a condominium project alleged contractors’ services and defects led to water intrusion. Defended shopping center owner in a dispute with an electrician over payment of contractor services in a matter in which the electrician’s services were determined to be faulty. Drafted commercial and residential construction contracts on behalf of owners. Drafted lending documents for construction projects. Represented before an arbitration tribunal and recovered damages on behalf of a physician leaving a medical practice including financial resolution of the partnership and removal of non-compete and non-solicitation agreement. Represented and obtained a take nothing summary judgment on behalf of a physician in state court in a dispute with his former partners regarding their claims for defamation. Represented an institution of higher learning regarding the media’s request for release of student-athlete drug testing information in violation of HIPAA. Represented various medical providers in medical malpractice claims. Represented and negotiated on behalf of a medical group for the employment of physicians. Drafted and negotiated employment agreements for physicians. Resolved various billing and insurance disputes on behalf of individuals and medical providers. Obtained a directed verdict at trial in a premises liability action on behalf of a membership wholesale club chain. Obtained a take nothing summary judgment on behalf of a retail sporting goods provider relating to negligent activity in an East Texas location. Obtained a take nothing summary judgment on behalf of an international boxing equipment manufacturer in litigation pertaining to faulty manufacturing and design of products. Drafted a separation and buyout agreement on behalf of an advertising agency separating the firm from a founding shareholder. Drafted sexual misconduct policies and procedures for religious organizations. Drafted document retention policies and procedures for an international window and door manufacturer. Negotiated and drafted marketing agreements for a marketing company specializing in the creation of insurance products and trusts for sale nationally. Negotiated and drafted agreements for a national advertising campaign for a Texas based advertising firm. Finest in Dispute Resolution, Acquisition International Magazine, 2017. 2017 Attorney of the Year – Texas, Corp America, 2017. Best in Dispute Resolution, Wealth & Finance International, 2017. Best in Texas—Sports Law, Legal Elite Corp America, 2016. Best in Texas—Alternative Dispute Resolution, Legal Elite Corp America, 2016. Recognized Leader in Business Litigation, Legal Elite Corp America, 2016. Michael Hoinski, How Christian Dennie Stayed in the Game, Super Lawyers, Mar. 2013.